You are here: Home / Healthy Living / Have You Or A Loved One Had Your/Their Gallbladder Removed? 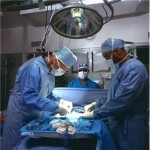 Have You Or A Loved One Had Your/Their Gallbladder Removed? If you’ve had your gallbladder removed you need to be taking a digestive enzyme that contains lipase. This enzyme assists in breaking down fats to ensure that these fats can be absorbed and used by your body for their many important functions. You may even need some bile salts to assist with this process. Trying to digest fats without sufficient bile is like trying to wash greasy dishes without soap!